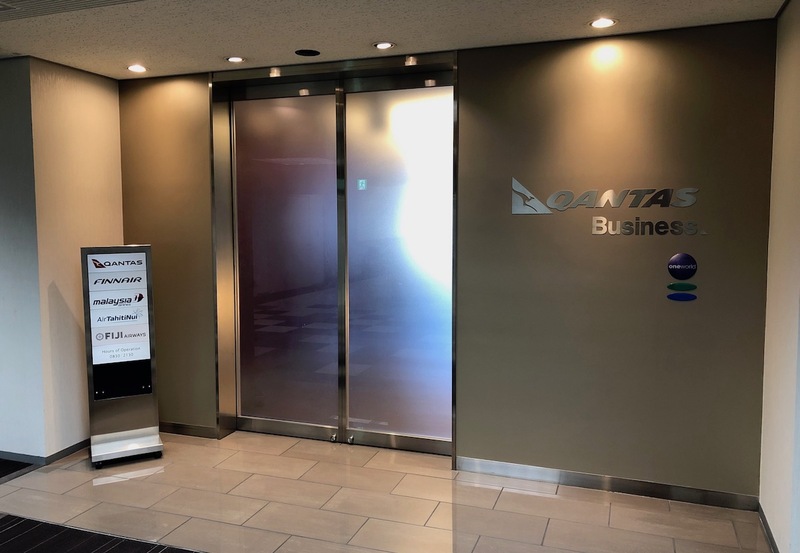 Our flight was departing from the Terminal 2 satellite gates, and conveniently that’s also where the Qantas Lounge is located. 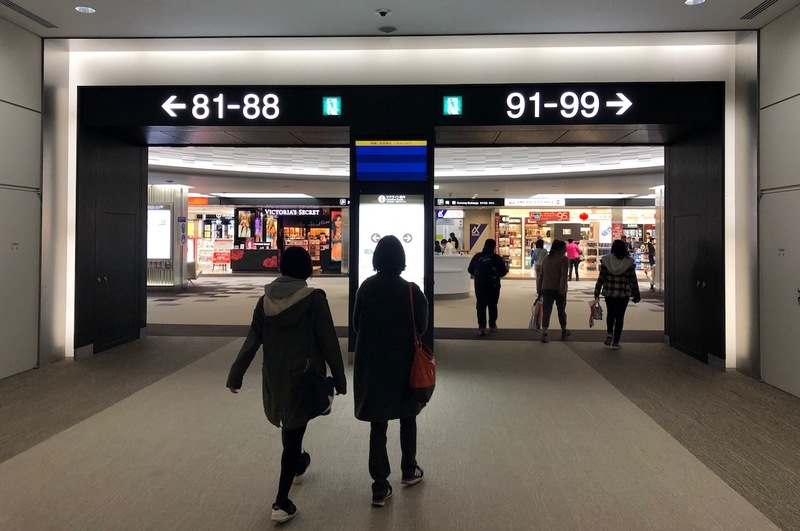 To get to the satellite gates, just follow the signage towards gates 81-99. 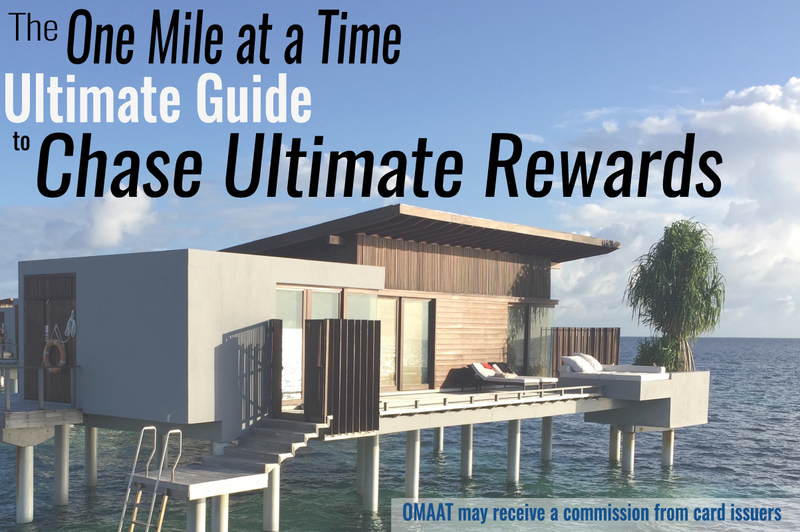 It’s maybe a five minute walk from the main part of the terminal. 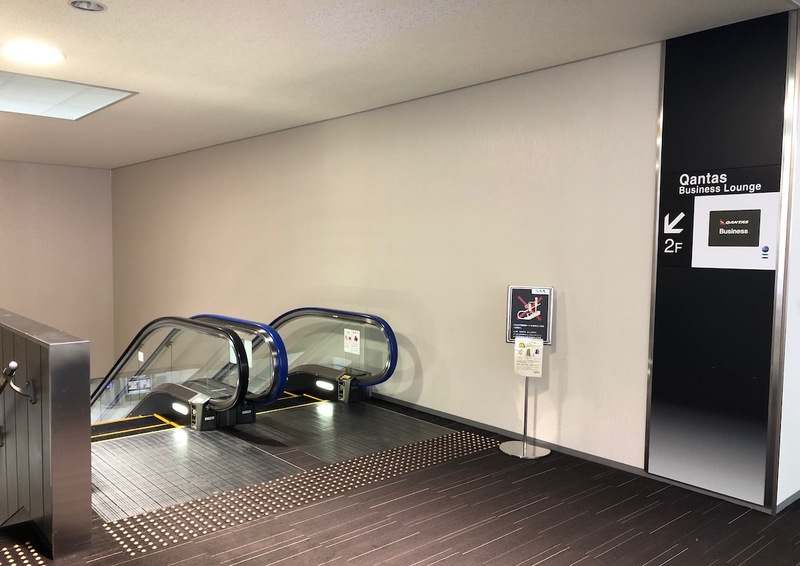 Once there just turn left, and you’ll see the escalator leading down to the Qantas Lounge right there. 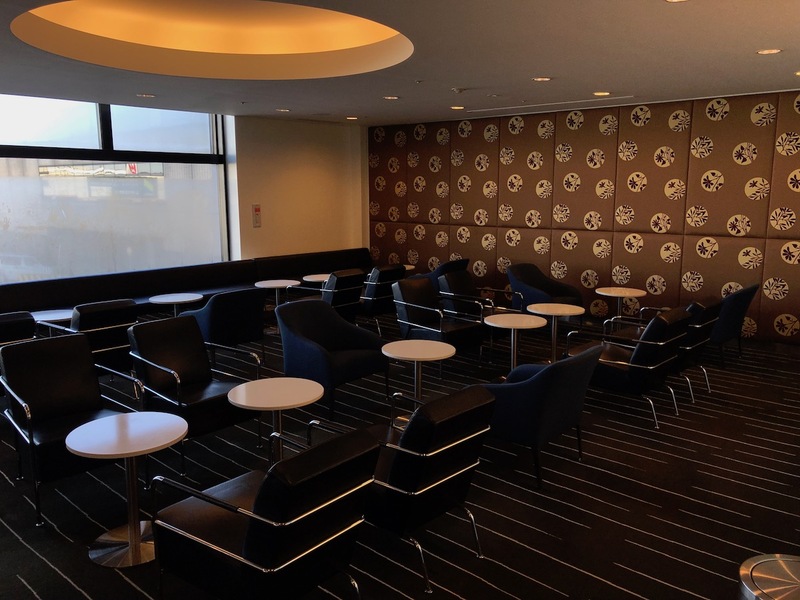 The Qantas Lounge Narita is open daily from 8:30AM until 9:30PM. 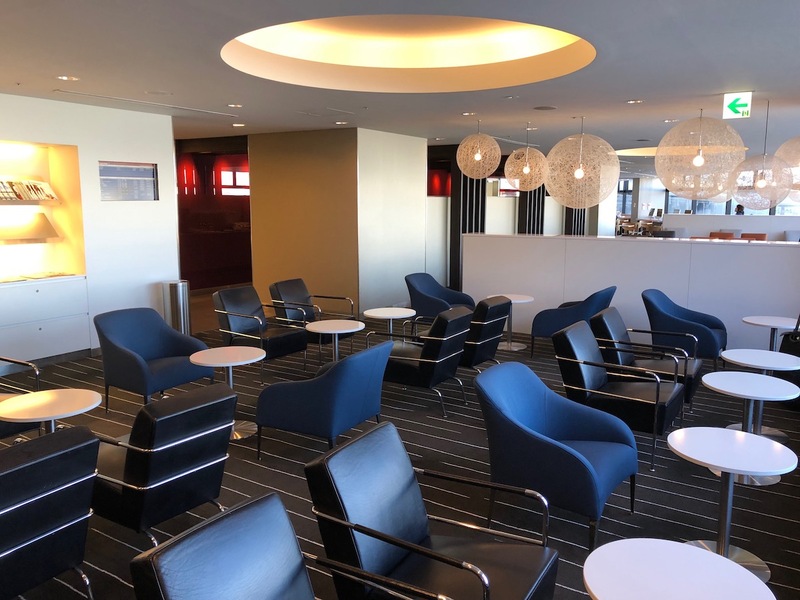 I’ve always been impressed by the decor of Qantas Lounges, though this lounge most definitely didn’t feature the updated interiors. 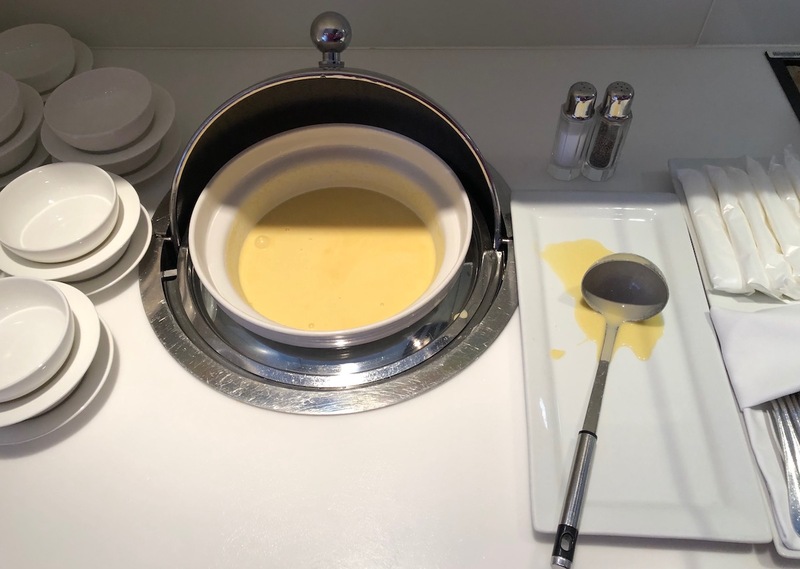 In just about every way this was the most disappointing Qantas Lounge I’ve been to. On the plus side, the lounge was quite large. 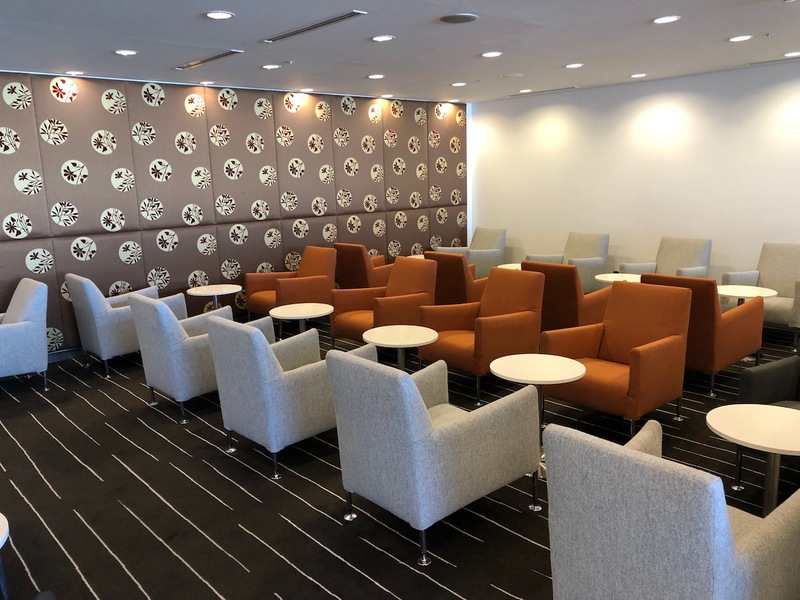 Even though all the premium passengers on a Malaysia Airlines A350 to Kuala Lumpur were using the lounge, it still felt quiet. Near the entrance is a sitting area with black and dark blue leather chairs. The next sitting area also has some orange chairs. Then there’s an area with some dining tables. There’s more seating along the center section of the lounge. Along the windows are a bunch of seats along a communal table, and there are also some iMacs for guest use. The lounge has nice apron views, though if there’s a plane pulled into the gate, it does obstruct most of the view (then again, I don’t mind a straight-on 787 view!). 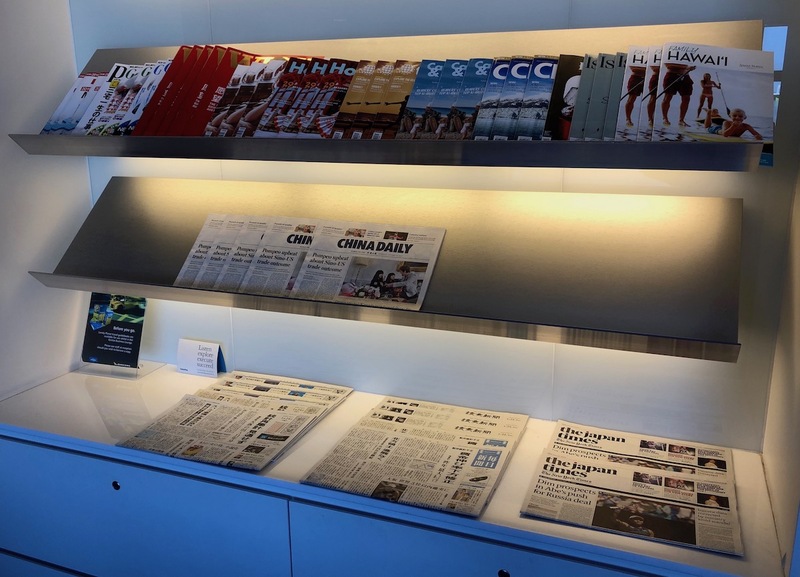 The lounge also has a selection of magazines and newspapers. 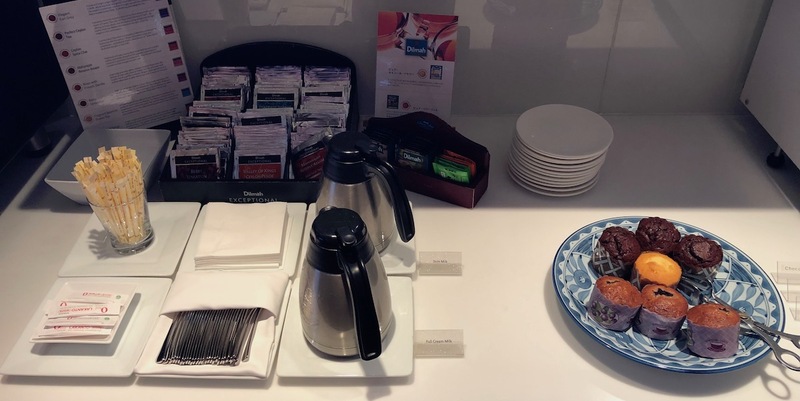 What disappointed me the most about the lounge was the underwhelming food and drink selection, which made the Admirals Club look impressive by comparison. My guess is that the selection improves prior to the Qantas flight, and they just don’t bother putting decent stuff out at other hours. There were two main buffet areas — one with drinks and one with food. 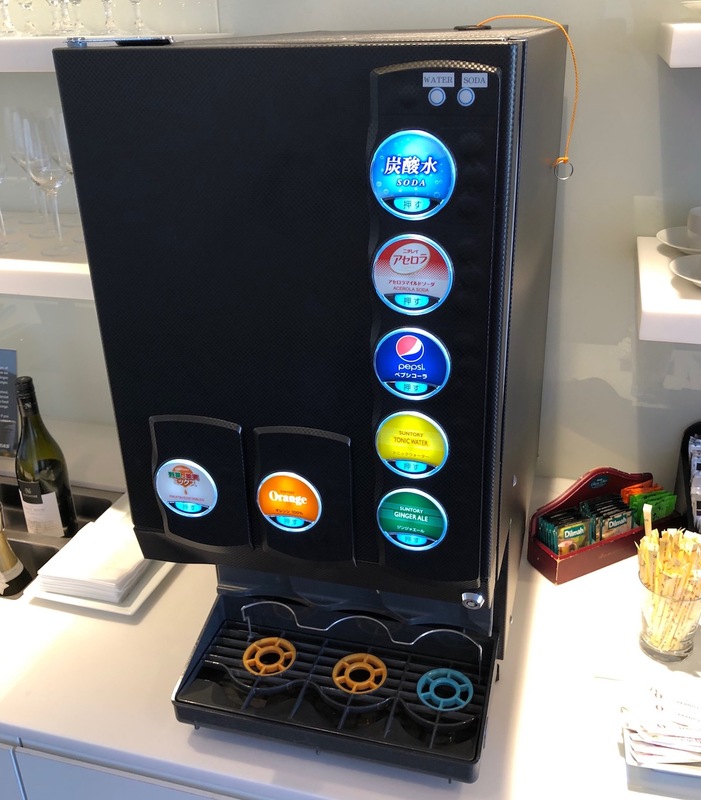 The drink selection included self serve liquor, wine, a beer machine, a fridge with soda and beer, a soda fountain, and a coffee machine. 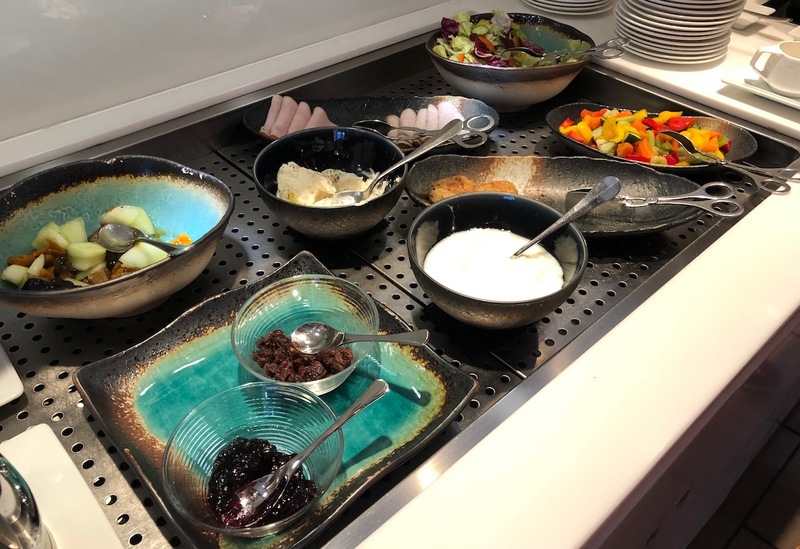 The food selection was quite bad, and just consisted of croissants and muffins, cereal, cold cuts, salad, and fresh fruit. 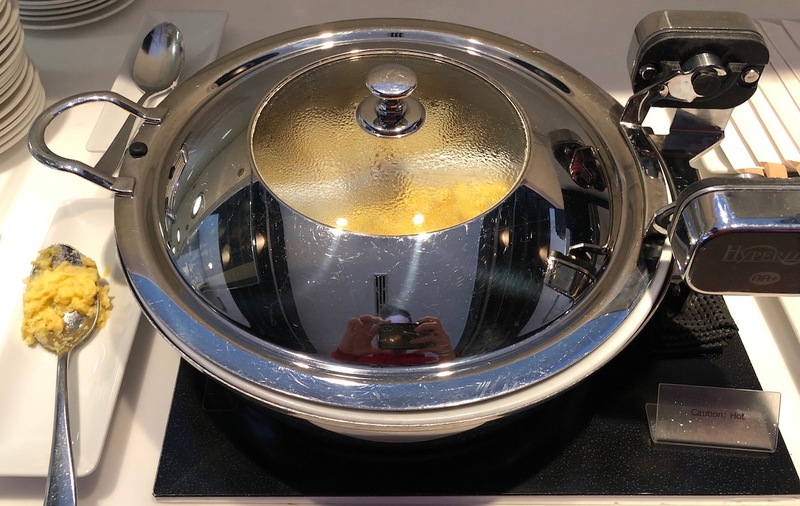 Hot options included one soup and scrambled eggs. The lounge also had well maintained bathrooms, as well as shower rooms. 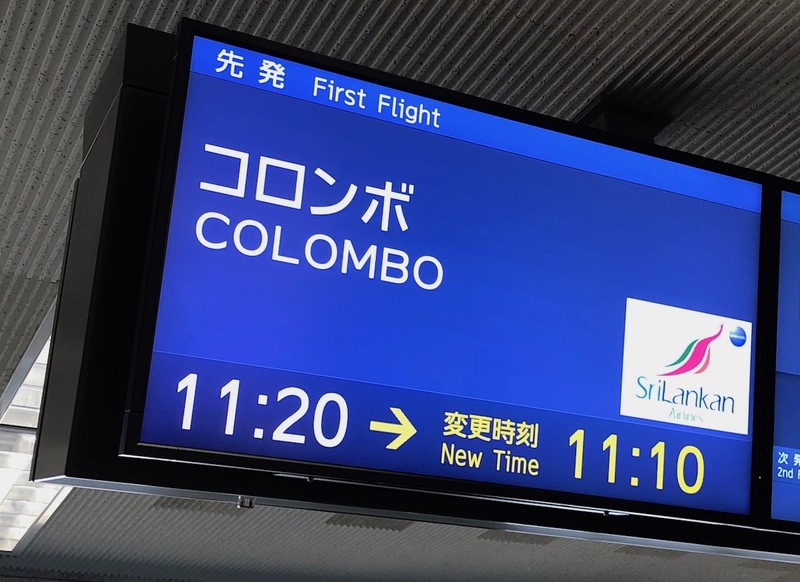 Our SriLankan Airlines flight to Colombo was scheduled to depart from gate 93, just a short walk from the lounge. So we headed there around 10:15AM. 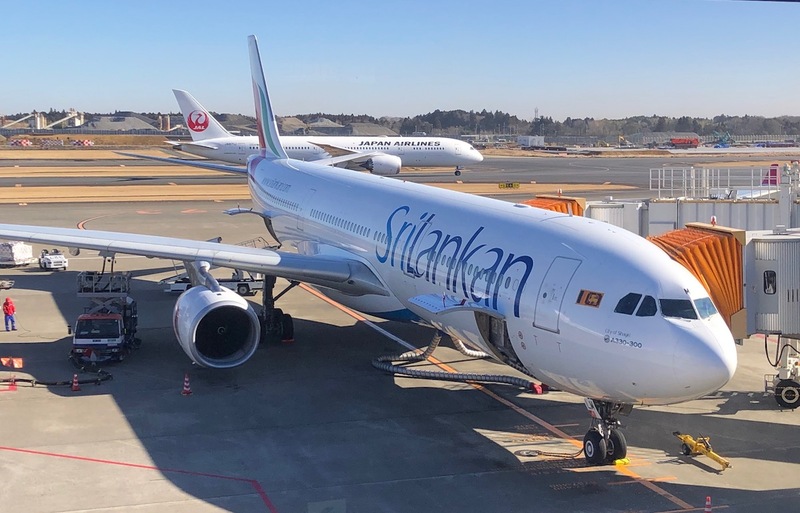 Our plane was already at the gate, as it had operated a redeye from Colombo. While not significant, I found it odd that the departure time was originally listed as 11:20AM, but they listed a “new time” of 11:10AM. When we got to the gate I went up to the counter to ask if they needed to verify my passport. 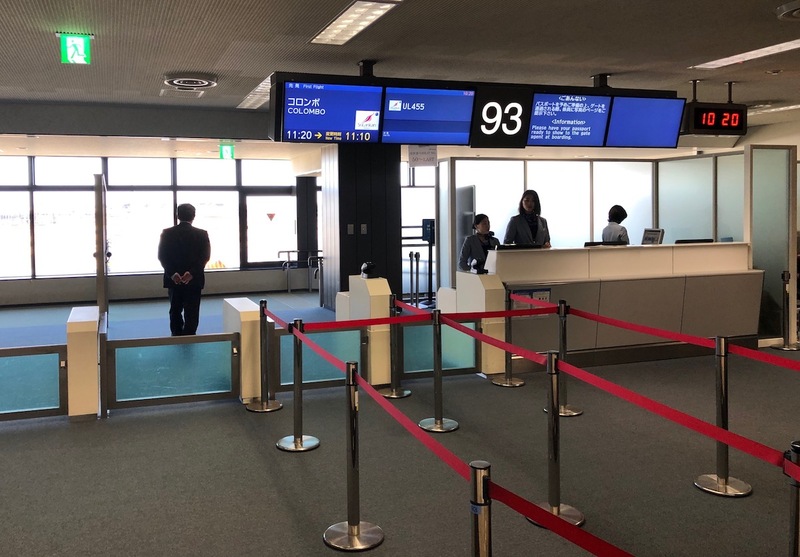 I did this because I always try to be the first onboard so I can get pictures, and I didn’t want to not ask, and then try to board, only to be told to step aside because my documents still needed to be verified. 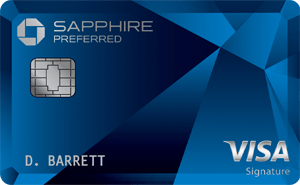 However, this time as we talked up to the counter the gate agent said “Mr. Benjamin and Mr. John? We need to verify your passports.” This was said before we even presented our passports. Now, before anyone thinks this was any sort of special blogger treatment, I’m 99.999% sure that wasn’t the case. Rather I quickly realized that we were quite literally the only non-Japanese tourists on the plane, so I’m guessing we stuck out a bit. As expected, boarding started right on time, at 10:40AM. 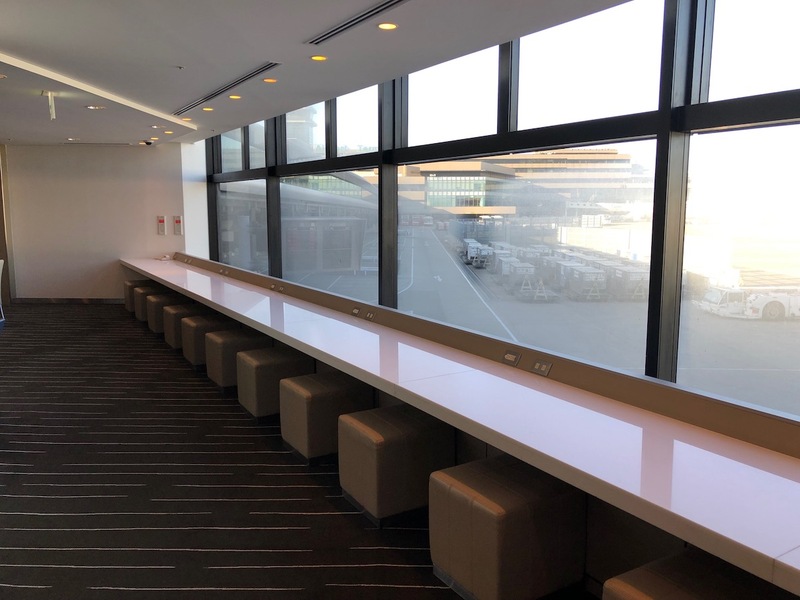 While the Qantas Lounge Narita is quite spacious, this is by far the least impressive Qantas Lounge I’ve been to. 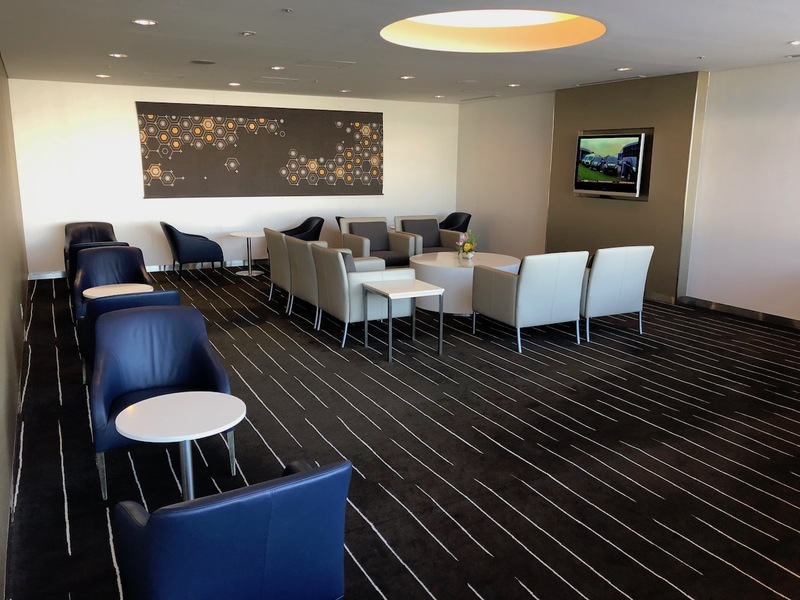 The decor felt a bit outdated (it actually looks nicer in pictures than in person), and the food selection made the Admirals Club look good by comparison, which is saying a lot. It’s my understanding that this lounge will soon be renovated, and I think that’s overdue. 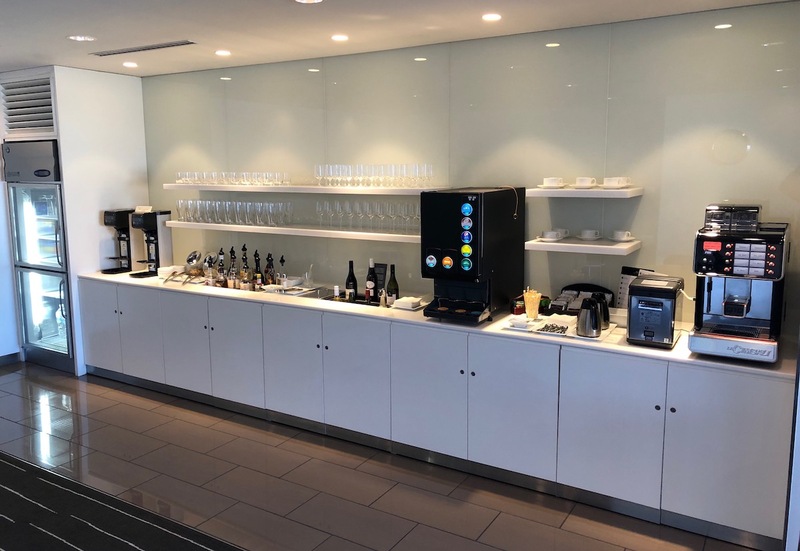 Not sure why anyone whorls choose the Qantas lounge when compared to the JAL options. 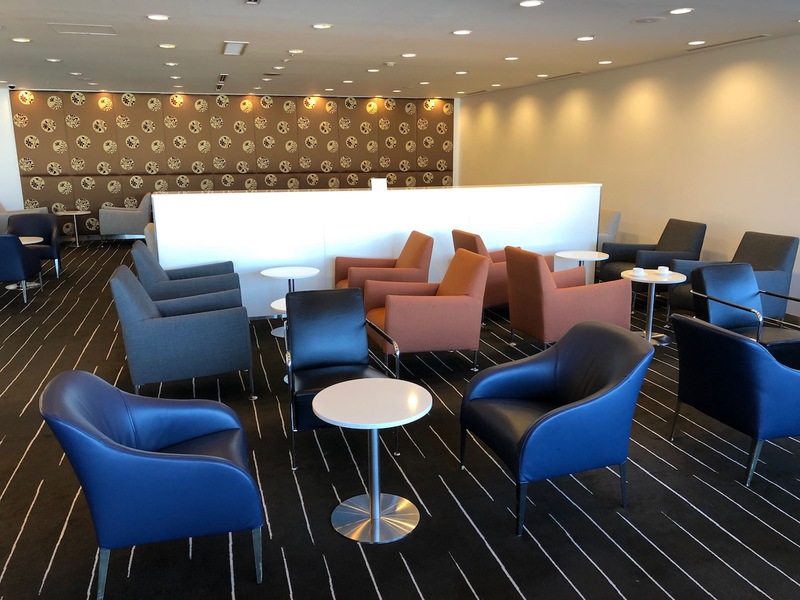 The new F lounge looks amazing. Horses for courses but I know where I’d be. I’m surprised QF hasn’t moved to close the NRT lounge. With just two daily services to BNE and MEL from there it’d probably be more prudent to direct pax to the JL lounges.  Probably making money from other airlines hence keeping it around. It’s an absolute zoo before the MEL and BNE departures in the evening, lots of qantas club members to swell the numbers. Compared to TMW, that’s a pretty awesome QF lounge. 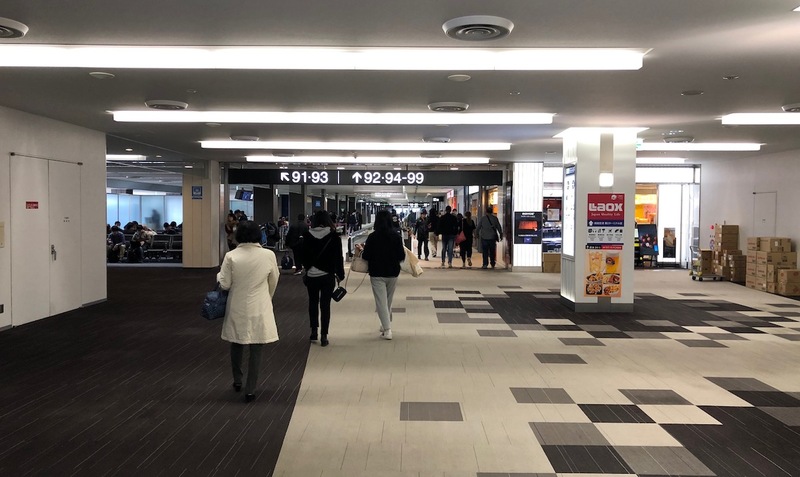 Hi Lucky, which OW business lounge in NRT do you recommend? Thanks! Should have reviewed the iASS lounge which is before security in terminal 2. Best feature is the cheapo sushi place next to the lounge. There are also the two daily Jetstar flights to Cairns and Gold Coast, which depart within about an hour after the two QF flights. 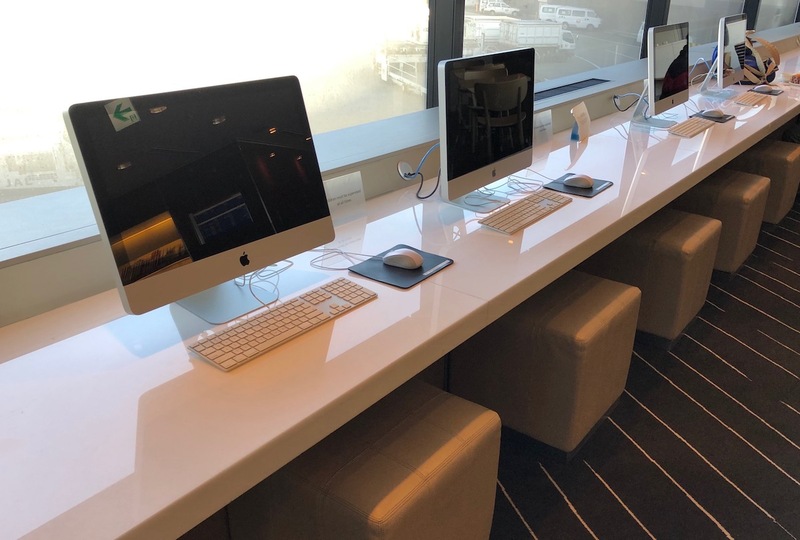 They will also carry a number of QF statusholders who would use this lounge. 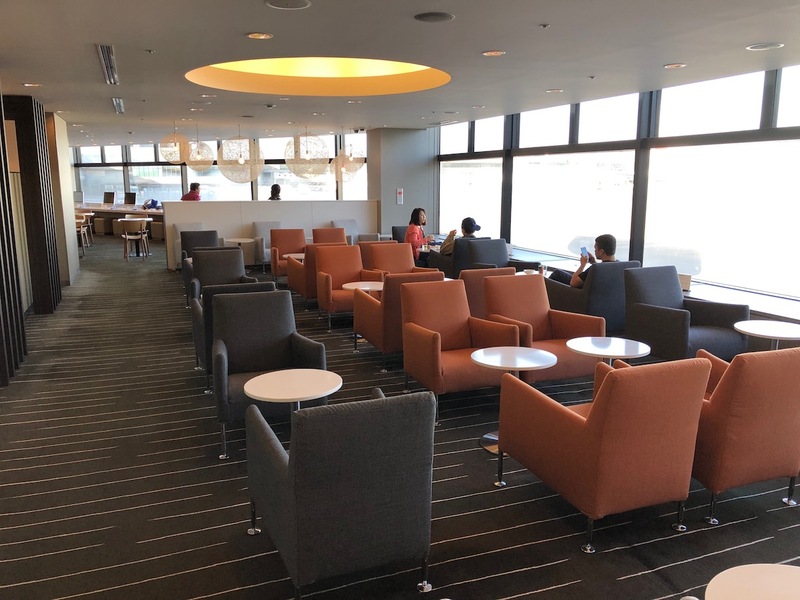 But otherwise no surprise that this outstation lounge is being treated as the poor cousin given the little QF traffic at NRT. >My guess is that the selection improves prior to the Qantas flight, and they just don’t bother putting decent stuff out at other hours. Or airlines using in the morning hours are not willing to spend extra to bring more stuff? 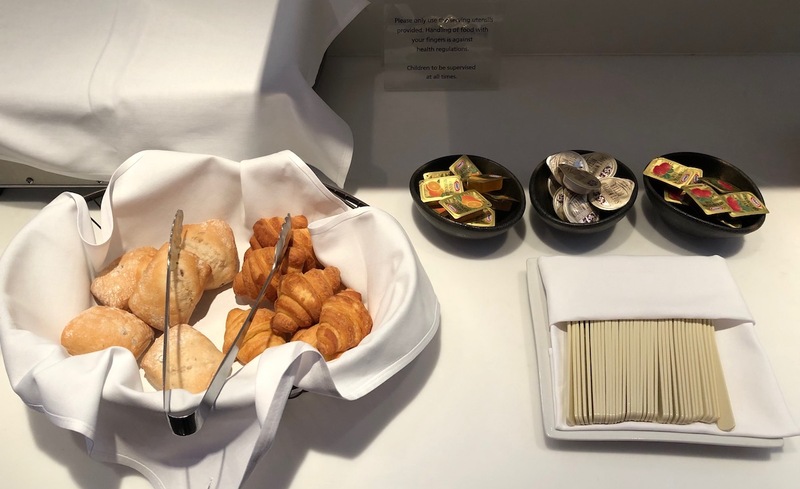 Can’t airlines negotiate to bring in additional catering if they desire? It’s AY and MH in the morning so that’s not that surprise. BA also directs its passengers there. It’s probably the worst QF lounge I’ve ever been to! You’re right about the pictures looking better than reality. I have heard of JAL refusing some Emeralds from accessing the First lounges. Lucky, have you heard of this? They were only refusing emeralds access during the lounge refurb. A bit disappointing last time I went through. I wish I id known in advance as I would have stayed landslide. The domestic terminal has some good food options and I probably even had enough time to got to Narita town. Should be OK now. 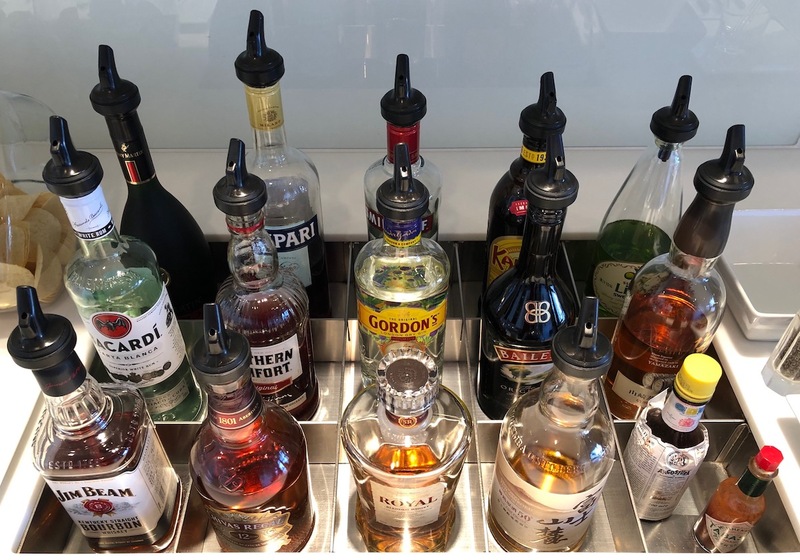 By far the worst Qantas lounge on the network award would have to go to the HNL lounge… not only is it stuck in the mid 1970’s, it’s extremely small when you consider Qantas often fly B744’s to/from HNL. 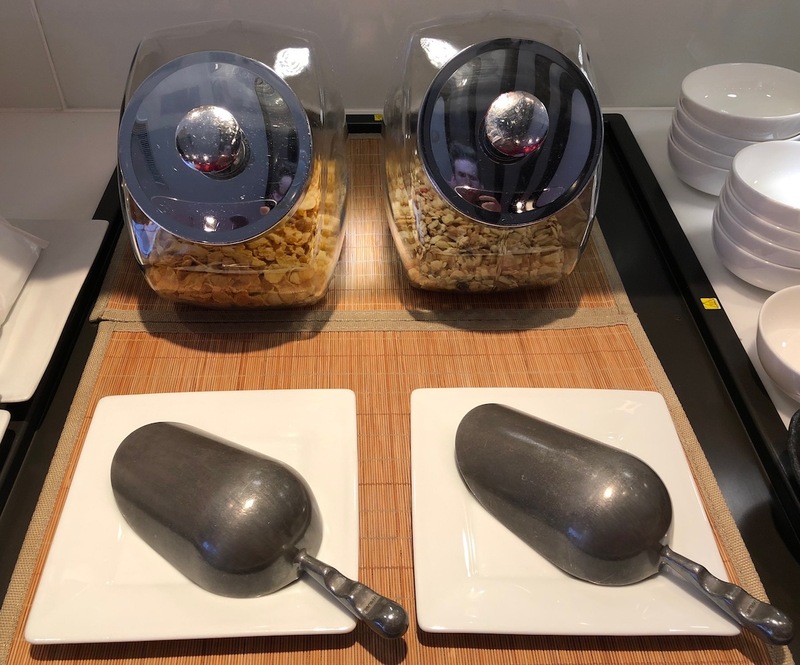 Granted HNL in general isn’t renowned for its food options, wouldn’t say the Qantas lounge offers anything decent; unless you like stale cereal. 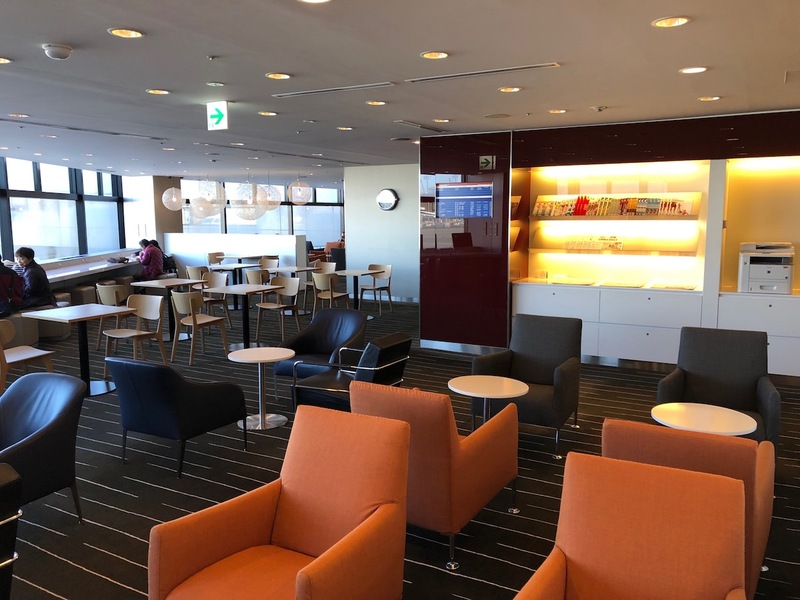 In comparison, the Narita lounge looks like an oasis! 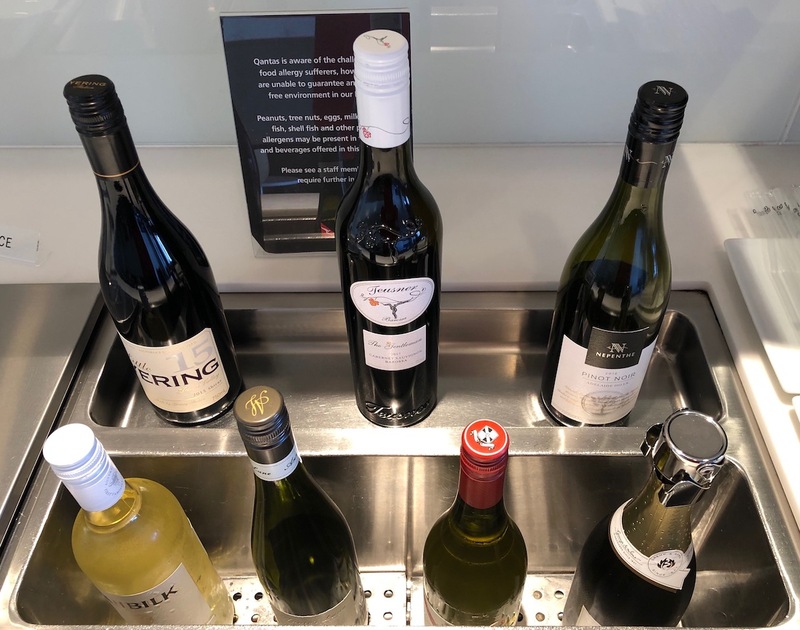 This Qantas lounge is bad regardless of the time of day as is the selection of food and beverages. I always pop in there to grab the Australian newspapers but I most definitely am grateful to be able to return to the Sakura lounge even when it is crowded. 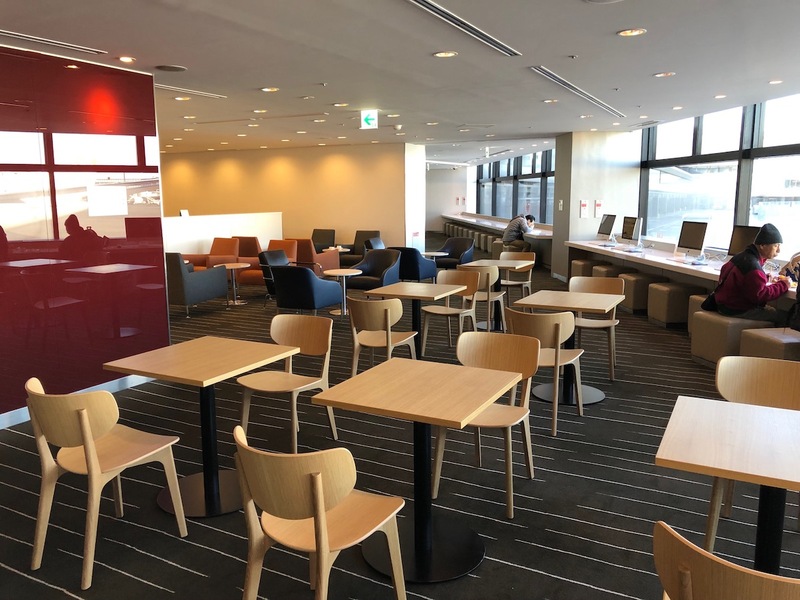 Qantas has announced that they will be upgrading the Narita lounge. Reno coming soon, and at any rate, the abundance of natural light is nothing to sneeze at… (QF’s International Lounge in Melbourne just makes me sad, even sadder given how nice the new Domestic there is). I actually just had my first qantas flight today on a domestic flight in Australia. It was decent for an economy flight. Lot better than my past few delta flights. 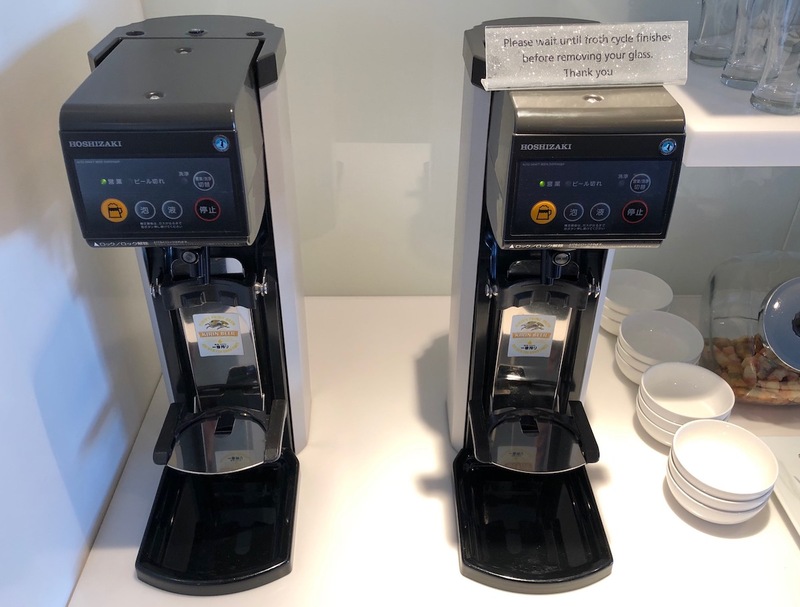 @Newman Agree regarding Qantas HNL lounge. An embarrassment and about 5 km from the gate to boot. No doorbell when I went in February, not even a person checking passes! Just walked straight in – and then quickly out. 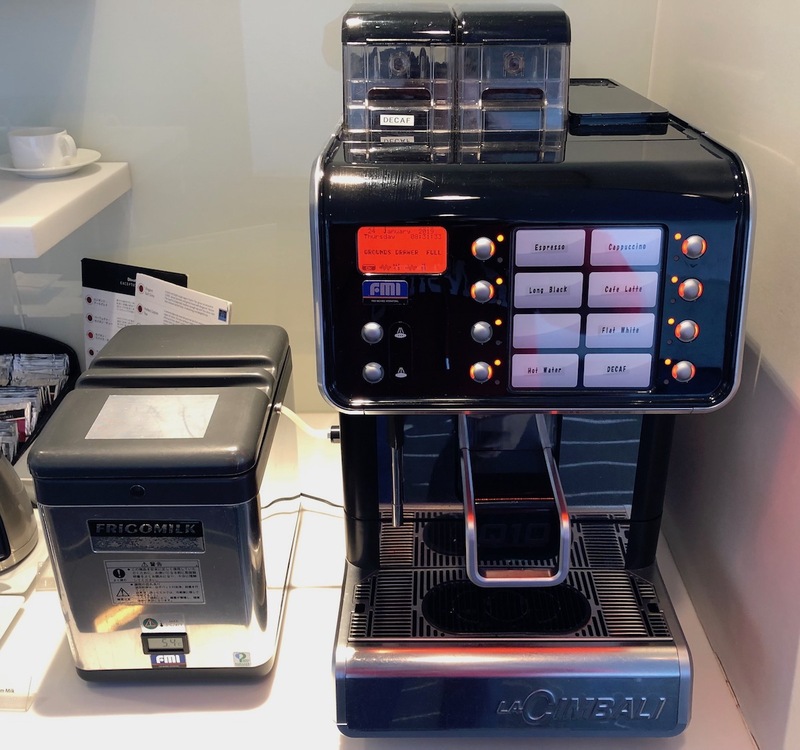 It’s a race to the bottom at Narita for lounges. 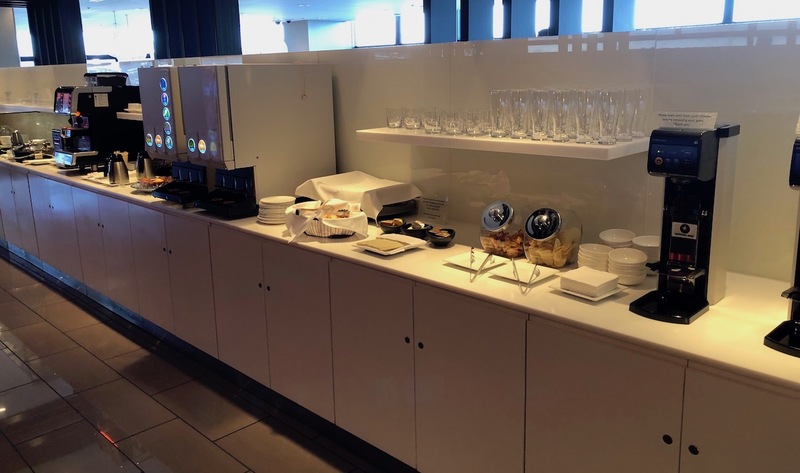 Hopefully the new JAL lounge will help raise standards….they can’t go much lower. This is a lounge screaming HELP!! Obviously designed (especially the seating arrangement) by someone with severe OCD issues. Definitely a second-rate effort not up to the usual QF standards. Pity. @Stephen. An update slated you say? On QF’s 2024 programme maybe. They are renown for making tenuous future (subject to change) announcements.